There are few markets that the poker monolith PokerStars hasn’t entered. The name is synonymous with the #1 online poker site in many countries that have set up “ring fenced” operations, including Italy, Portugal and many countries in the European Union and continues to be the “top dog” internationally. Now PokerStars is ready to enter into an untested market, the country of India, later this month. It was confirmed last week that The Stars Group will launch an India-specific version of their online poker product on April 17. Joining forces with an Indian gaming company, Sugal & Damani Group (owned by Sachiko Gaming Private Limited, who also has the domain name property for the PokerStars site), this means that PokerStars will have to shut down their international “dotcom” site and “ring fence” the Indian people together for the new site. The last day that Indian players will be able to play on the international version of PokerStars will be April 16. All the items that players in India have come to love about PokerStars will be a part of the new operation, it just won’t be a part of the international operation. Popular tournaments such as the Sunday Million and the World Championship of Online Poker will be continued, but on an India-only basis. Only people that are in the country will be able to participate in these special events on the new PokerStars India and participate through both mobile phones and desktop computers. But what will be the outcome of the new PokerStars India? An examination of previous “ring fence” countries is a murky one. In the mid-2000s, many European countries enacted laws requiring online gaming operators to either set up nation-specific operations or leave the country. This became known as “ring fencing” in which an online gaming operation would base a piece of their company in the country in question, along with servers and other pertinent pieces of their operation. The thought among many of these countries was that they would be able to tax the revenues not only on the players but also on the companies, thus earning revenues that would benefit the country’s coffers. For a bit, this strategy worked. Countries such as France, Spain, Italy, and Portugal reaped new revenues. Other countries such as Germany, Denmark and Sweden also enacted laws that “ring fenced” their operations, but they didn’t go to the extremes of ordering companies to come to their nations to be allowed to operate. As time wore on, however, those revenues began to dry up. The international economic collapse of 2008 was the first blow to many of these “ring fenced” nations. When their citizens were zapped by the economic downturn, these countries were affected on their bottom lines. Tax revenues from the operators in these nations went down. The “Black Friday” situation of 2011 that destroyed online poker in the U. S. had long-reaching tentacles into international play also, with players losing money through the closures of Absolute Poker and Ultimate Bet in 2011 and Full Tilt Poker in 2012. The “ring fencing” also had an effect when it came to the players themselves. For international operators, there is a constant stream of new players coming in from around the world. With the “ring fenced” countries, however, they were restricted to those coming of age (in most cases 18) just in their countries. There was also the fact that once players lost, they didn’t come back, which influenced player numbers. Last year, the “ring fenced” nations came to an epiphany – that “ring fencing” didn’t work. With this realization came new laws which saw France, Italy, Portugal, Spain and the remainder of the European Union open to a “European-only” network (shared liquidity) between the countries. This went into effect in late 2017 and has immediately changed the game. 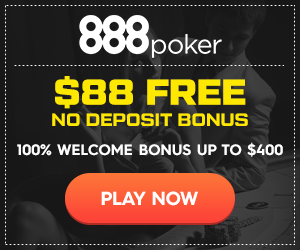 According to PokerScout.com, PokerStars Europe – one of the operations that caters to European only players – has a seven-day average of 1500 cash game player (the basis for measurement in the online poker world). Italy has yet to join PokerStars Europe; it’s current seven-day average is half that of the European site. Whether the new India-based PokerStars will be successful or not is unknown. There is plenty of competition from other India-based companies (Adda52 has a head start over PokerStars) and there are rumblings in the court system after a decision in a Mumbai court that poker is a “game of chance.” This could stymie future growth of the game and could hurt the online product at the same time.